Learn how a week of service can change everything. IN CLOSING	Catherine Thompson, Ph.D.
A week of service can change someone’s life. But whose lives change may surprise you. The number of first-generation college students is increasing. Learn how Rockhurst is helping them succeed. On the cover: Maggie Hummel, freshman, works on a home damaged by Hurricane Sandy. Would you save a life if you could? It may be easier than you think. 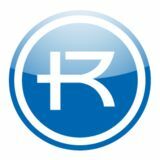 ROCKHURST UNIVERSITY MISSION & VISION Rockhurst is a comprehensive university and a supportive community that forms lifelong learners in the Catholic, Jesuit, liberal arts tradition who engage with the complexities of our world and serve others as compassionate, thoughtful leaders. Our vision is to create a more just world through inclusive, innovative, and transformative education. uring spring break 2018, I had the privilege of accompanying 13 of our students and Molly Sova, a colleague, to Amigos for Christ in Nicaragua. It was my fifth service immersion trip since coming to Rockhurst in 2006. We intentionally call these experiences service immersion trips. The University conducts over 10 such trips throughout each year. Most are international ventures. The format for each is similar: manual labor; experiences with local culture; social and political history background; prayer; and lots of reflection. Folks depart with a focus on being men and women FOR others. They return with the understanding of being men and women WITH others. Our trips are not mission trips. We do not send students, faculty, and staff to proselytize or to convert others. Instead, we are about Rev. Thomas B. Curran, S.J., engagement. It’s intentional and consistent with President, Rockhurst University our identity and way of proceeding as a Jesuit institution of higher learning. And, while great work is accomplished on these excursions, it’s much more than helping to build bridges or schools, dig trenches for water lines, conduct instruction, or provide medical services, just to name a few. It’s all about accompaniment – being companions on the journey. Throughout each service immersion trip there is ample opportunity to work alongside members of the local community. This calls for being fully present to the experience, including the opportunity to learn a few phrases in another language. This whole process reflects a small taste of the Spiritual Exercises of St. Ignatius Loyola: experiencing God who offers his love and companionship. The theological notion for this is God’s providence. More than anything else, Ignatius considered himself a pilgrim who accompanies another. He modeled his behavior upon the example of Jesus Christ who always started with accompaniment, welcome and hospitality. Jesus immersed himself into people’s lives first. He did not begin with the rules; he first offered hospitality. Think of the familiar Gospel stories that illustrate this – Zacchaeus, the centurion, the woman at the well, and his walking with disciples to Emmaus. Intentionally, we call our trips service immersion experiences. The outcome is mutual transformation. And, I can attest to these conversions being real and substantial. Our service immersion trips assist us in becoming companions on the journey – men and women for and with others. Junior Aubrey Habron, sophomore Olivia Rode, sophomore Mary Strecker and Chad Scholes, Ph.D., professor of biology, work on a project to identify different types of bacteria in the local phyllosphere. here might be more to the trees around us than meets the eye — a lot more. RU, the magazine of Rockhurst University, is published by the Office of Public Relations and Marketing. STAFF Jeremiah Barber, ’16 EMBA, Alicia Douglas, Katherine Frohoff, ’09 EMBA, Estuardo Garcia, ’18 M.A., Jennifer Knobel, Courtney Lee, Tim Linn, Michelle Smith, Melissa Thompson, Angela Verhulst EDITOR Katherine Frohoff DESIGN JJB Creative Design CONTRIBUTING WRITERS Rev. Thomas B. Curran, S.J., Estuardo Garcia, Jennifer Knobel, Tim Linn, Julia Mangan, senior, Michelle Smith, Catherine Thompson, Ph.D. PHOTOGRAPHY Doug Clark, Estuardo Garcia, Rebecca Izquierdo, Tim Linn, Mark McDonald, Earl Richardson, Dan Videtich SEND LETTERS TO Katherine Frohoff, Rockhurst University, 1100 Rockhurst Road, Kansas City, MO 64110-2561 or katherine.frohoff@rockhurst.edu 816-501-4151 RU magazine is printed on FSC certified uncoated paper. he keynote speaker for the sixth annual Rockhurst University Leadership Series luncheon, former U.S. Ambassador Caroline Kennedy, told a sold-out audience at the Muehlebach Tower of the Downtown Marriott on April 5 that leadership is powered by the courage to remain committed to one’s own values. In a morning question-and-answer session with students and the luncheon hosted by the Rockhurst University Leaders Council with presenting sponsor CommunityAmerica Credit Union, Kennedy illustrated through historical examples and her own experience that all are called to leadership. “At the end of the day, we are part of a long running story, we just try to get our paragraph right,” she said. “Getting our paragraph right involves soul searching, but it also involves action. We all must take responsibility for writing the chapter of our time.” Also at the luncheon, the University presented its Rashford-Lyon Award for Leadership and Ethics to Patricia Cleary Miller, Ph.D., professor emerita of English and longtime supporter of Kansas City’s arts communities. Former U.S. Ambassador to Japan Caroline Kennedy and Rockhurst University President the Rev. Thomas B. Curran, S.J., at the Rockhurst University Leadership Series luncheon. The Rockhurst University Leaders Council thanks this year’s sponsors for making the event possible. he Helzberg School of Management continued to climb in the latest U.S. News & World Report Best Graduate Schools list. Jennifer Friend, Ph.D., dean of the College of Arts and Sciences, presents findings at a conference. he ability to tell one’s own story is an important part of coming to grips with sometimes difficult history. That’s why Jennifer Friend, Ph.D., dean of the Rockhurst University College of Arts and Sciences, embarked with a team from the University of MissouriKansas City on a project to preserve and amplify the voices of those who experienced the Kansas City school system’s long journey toward racial integration. In the 2019 rankings, released in spring 2018, the Helzberg School’s parttime MBA is ranked among the top 100 programs in the country for the first time at No. 92, while the management MBA earned a No. 12 ranking and the MBA data analytics and business intelligence concentrations are ranked No. 13 nationally among peers in the information systems category. “Our goal is to continue to improve our offerings at every level, so to have core programs like our part-time MBA ranked alongside the cutting-edge data analytics program shows the success we’ve had in that effort,” said Cheryl McConnell, Ph.D., dean of the Helzberg School of Management. In the spring the Helzberg School also launched its first online degree program, the Master of Science in business intelligence and analytics, along with online analytics and insights and health care management certificates. These programs makes use of video streaming technology to give students flexibility to earn their degree on campus, from home, or both. Visit the site at rockhur.st/kcdeseg. Kermit J. Fendler, Pharm.D., ’68, outgoing board of trustees chair, University President the Rev. Thomas B. Curran, S.J., and board of trustees chair Thomas F. Hastings, M.D., FACP, ’81, break ground on the Health and Wellness Center. ockhurst University celebrated the ceremonial groundbreaking of the new Health and Wellness Center on May 31. The recreational facility will feature fitness spaces for cardio equipment, free weights, stretching and group exercise, which will be available for all Rockhurst students, faculty and staff. Additionally, the Health and Wellness Center will include locker rooms for the men’s and women’s soccer teams and an event space looking out toward the soccer field. Construction is anticipated to begin in fall 2018. FACULTY KUDOS Wenbin Sun, Ph.D., associate professor of marketing, wrote an article titled “Re-examining Corporate Social Responsibility and Shareholder Value: The Inverted-U Shaped Relationship and the Moderation of Marketing Capability,” which has been accepted for publication in the Journal of Business Ethics. Anne Pearce, MFA, associate professor of art and director of the Greenlease Gallery, had an exhibition titled “Everything is Going to Be Alright” at the Bradbury Art Museum at Arkansas State University. For more faculty news, visit rockhurst.edu/facultykudos. Whether for comfort, pleasure, inspiration or to exercise intellect, Barnett said that whatever paths her students take, she hopes they keep literature in their lives. According to Barnett, career is important, but not enough to have a complete life. That is why the Jesuit core value cura personalis – care for the whole person – resonates with her. “To have something else to refer to other than a business model – something that values the soul – is a great thing,” Barnett said. Barnett has recently expanded her love for literary art beyond the classroom as the new director of the Midwest Poets Series, which brings renowned poets from across the country to Rockhurst. As a writer, Barnett looks forward to connecting with other poets and expanding her taste through student and community suggestions. As the director, she says she feels fortunate to carry on the 35-year-old tradition started by her predecessor, Robert Stewart, who will be the featured poet at the launch of next year’s series. “He has been so gracious and generous about turning over the series and what I can accomplish. It is a nice symmetry for him to go from curating poets to being the poet,” Barnett said of Stewart. “It feels right to both of us.” Barnett, who has poems published in national literary journals, also serves as faculty editor of the Rockhurst Review, a literary journal published by Rockhurst University. Rockhurst Says Goodbye to Retirees At the end of each academic year, we say goodbye to hundreds of our graduating students, but it also means we have to say goodbye to many of the faculty and staff who have called Rockhurst home for decades. We thank the following for their service to the University. (From left) Ellen Spake, Ph.D.; Acey Lampe, Ph.D.; Curtis Hancock, Ph.D.; Joseph Cirincione, Ph.D.; Sandy Waddell; Lynn Ross; and Rick Graham. is retiring, but will help the Helzberg School of Management pilot more online courses by teaching a managerial communications course remotely from somewhere in Portland, Oregon. Lampe and her husband, Peter Florzak, will be moving to Oregon to be closer to their only daughter, who has been living there for a few years. CURTIS HANCOCK, PH.D. Curtis Hancock, Ph.D., professor of philosophy, says that during the more than three decades he has been at Rockhurst, he and his colleagues have built a department that he is really proud of and one that will continue to get better and serve the needs of the students. For retirement, Hancock says he will continue to travel to Warsaw, Poland, to give lectures, and he will focus more on writing about what is happening in the current culture and in politics. He will also spend more time with his wife, Sandy Wadell, whom he met at Rockhurst. SANDY WADDELL Sandy Waddell, associate dean of students, director of new students, retention and access services, started her career working part of the time in the counseling center and the other part for career services. Decades later, she has come full circle to oversee those two departments. Waddell said she always enjoyed working with individual students to help them get whatever resources they need to have a successful education. Retiring together with her husband, Curtis Hancock, Ph.D., was part of their plan to spend more time with each other but, for now, she still plans on taking her own vacation while Hancock goes to Poland to lecture. LYNN ROSS Leaving any job can be bittersweet, especially when it’s a job you’ve called home for 23 years. This will be the case for Lynn Ross, Helzberg School of Management faculty secretary, who has been the warm welcoming face of the school. Ross said she is eager to spend time with her four grandkids, two of whom live in Maryland. She said she is also eager to go back to doing the things she loves, which is to use her fine arts degree by expressing herself through quilting. Besides trips to Maryland to see family Ross is also eager for her upcoming trip to Ireland with her husband. RICK GRAHAM During his nearly 19 years at the Helzberg School of Management, Rick Graham has worn many hats, including director of the information technology leadership program, assistant dean for operations, associate dean for operations, and finally associate dean. That’s in addition to teaching. Graham said he is eager to start his post-Rockhurst life, which will include gardening at home, traveling to national parks, fly fishing, hiking and camping. t one point in her long career in telecommunications, Jo Ann Herron was stuck. Audrey Masoner, ’00, author of Mayor Sly and the Magic Bow Tie, speaking at February’s Meet the Makers event. Adversity Serves as Teacher for Softball Coach Bailey Wittenhauer, head coach of the Rockhurst University softball team. fter five years of experience playing and coaching in the GLVC, Baily Wittenauer headed to Rockhurst University in July 2017 as head coach of the softball team. Before Wittenauer herself went to college, she was used to starting on her high school team. She loved to hit and catch, and relied on her strong arm to throw hard and get people out. “I tell the women all the time that softball is just a practice for life. I’m showing them not to get caught up and dwell on their mistakes, because when they do that, they lose sight of future opportunities.” Wittenauer explains that this year is about the changing culture. In addition to learning new field positions, Wittenauer also took time to reflect and understand her role as a teammate and develop as a person. Her personal growth in this challenging time reflects on her coaching style today. At the close of her first season, Wittenauer set goals for the future. She can check off work ethic, skills and hard-working athletes and now it’s time to see where those will take the team in year two. Men’s Lacrosse Earns First-Ever National Ranking The men’s lacrosse program has wasted no time getting noticed, considering it was only founded in 2013. In April the squad, led by head coach Kevin Kelley, was ranked No. 20 nationally by the United States Intercollegiate Lacrosse Association. It was the first time the program was listed among the best in the U.S. and came amidst a successful campaign overall. The team posted its best record yet at 14-2, netted 12 all-Rocky Mountain Athletic Conference team honors, and took home RMAC Coach of the Year honors for Kelley and a Defensive Player of the Year award for sophomore Connor Bateman. t’s not that uncommon to play on the same sports team as your best friend. However, it’s more uncommon when your best friend is also your identical twin. Rockhurst University Athletics Director Gary Burns, donors and alumni help dedicate the second phase of improvements to Loyola Park. he Rockhurst University baseball team has hit a home run with the improvements at Loyola Park. On April 28, the athletics department invited the community for the dedication of the new features at the baseball field. Stadium and grandstand seating, a press box, a new scoreboard and restrooms were added as part of a second phase of improvements. “We have a beautiful new facility at the University that will give our spectators and fans in attendance a much better experience,” said Gary Burns, director of athletics and head coach of the baseball team. Burns said the upgrades to the park will help the Hawks be more competitive in recruiting new talent and will allow the University to rent the field for high school tournaments. An earlier phase of improvements added dugouts and improved backstop netting. A large part of the more than $1 million dollars’ worth of improvements came from Jim Myers, ’68, and the Skala family: Donna, Joe and Taylor, ’15. Myers and the Skalas, as well as Mark Sappington, ’13, and Charlie Tholl, ’03, were honored during the dedication event. Funds for the improvements also came from the sale of stadium seating. There are still 50 seats available for purchase through the R Club. For more information, contact Brent Blazek, assistant director of alumni and parent relations, at brent.blazek@rockhurst.edu. Burns said the University was blessed to have such generous donors who have supported the baseball team since the program restarted 25 years ago. through the R Club. For more information, contact Brent Blazek, assistant director of alumni and parent relations, at brent.blazek@rockhurst.edu. n the couch of a living room condo in a St. Louis suburb, a mother and two sisters crowded around a large blue envelope, the contents of which would set the trajectory for the small family’s future. of the undergraduate students in the 2011-12 academic year were first-generation. (Left) Alexandra Meyer, junior, first-generation college student, works at a medical lab and grocery store to help finance her Rockhurst education. college students graduate within four years. Mary Haskins, Ph.D., professor of biology, is both a first-generation high school and college student. Alexandra Meyer, ’19, works two jobs to support herself during her time as a Rockhurst student. “I made an agreement with myself that I would not leave college with debt. I would pay off all of my loans every semester. Which I have done successfully,” said Meyer. Meyer, Webster and their fellow first-generation students have the commendable ability to follow through on their goals despite overwhelming obstacles. Their experiences bring great perspective and value to institutions of higher education, and this resiliency is one of their many characteristics to be applauded. Wisdom is another, according to Mary Haskins, Ph.D., professor of biology and firstgeneration high school and college student. “There is a big difference between wisdom and knowledge,” said Haskins. “Many first-generation college students have, in my opinion, the opportunity to gain knowledge through their academic studies and a great deal of wisdom from their family.” Haskins says her mother did not have a formal education past eighth grade but was the wisest person she knew. A recent study by social psychologist Igor Grossmann at the University of Waterloo in Canada found that people in challenging situations develop strong wise-reasoning characteristics, such as conflict resolution, social skills and problem-solving. Risa Stein, Ph.D., professor of psychology and first-generation college student, encourages students to seek mentors and fellow first-generation students at Rockhurst. Speaking from her own experience, Haskins says that being a first-generation student can often feel as if one has each foot in separate worlds: one with family and one with school. Both worlds offer valuable learning opportunities that should be embraced. “It’s not all about the responsibility of being a first-generation student,” said Risa Stein, Ph.D., professor of psychology and first-generation college student. “It’s about growing as a person.” Stein hopes that students at Rockhurst pursue mentors for guidance and fellow first-generation students for camaraderie. A growing number of first-generation students are discovering success in higher education due to a combination of self-efficacy, social integration and college programs. To support first-generation Rockhurst students, Success Coach Ashley Halter has championed RU First, an organization that provides resources to help students navigate first-time college logistics like applying for financial aid, registering for classes and getting involved in campus organizations. But the primary focus of RU First is connecting, belonging and celebrating each of Rockhurst’s first-generation students, says Halter. BY ESTUARDO GARCIA, ’18 M.A. t’s 4:30 in the morning and Bill Kriege, director of campus ministry, waits in the parking lot of the community center, ready to load the shuttle bus with luggage and students who are anxiously awaiting their international flights. During the 2017-18 academic year, 83 students and 16 faculty and staff companions traveled to service sites in Jamaica, Nicaragua, Dominican Republic, Guatemala, New York, Philadelphia and Houston during the winter, spring and summer months. A Perfect Match You may not realize the role you can play in saving another’s life. Several members of the Rockhurst University family are ready to fill you in. John Murry, ’55, and Dustin Schroeder, ’16, meet for the first time at a 2014 bone marrow drive for DKMS on campus. aving a life can be deceptively simple. Stories of everyday people making huge sacrifices for strangers are more commonly heard, of course, for good reason. But that doesn’t strip the significance from smaller acts of selflessness that can, in the same way, mean everything to another person. Even in a community of students, staff and alumni as big as Rockhurst, it’s not hard to trace small acts and the ways they can have life-altering impacts. Schroeder during the donation process in summer 2014. Luke Beckett, ’15, ’18 M.A., plays with his son, Corbin Beckett, on campus. “I couldn’t see any other option but to dive right into the process, especially because I would hope that someone else would do this for my son.” —Luke Beckett, ’15, ’18 M.A. THE ADVOCATE Junior Kori Hines knows what it’s like to be on the other side of a call like the ones Schroeder and Beckett received. In January 2011, during her eighth-grade year in Olathe, Kansas, she was diagnosed with acute myeloid leukemia, a type of cancer rarely diagnosed in young people. She was considered in remission after spending most of the year in and out the hospital for chemotherapy and radiation. “Then in August, right before I was supposed to start my freshman year in high school, we found out I had relapsed,” she said. Her doctors considered another treatment — a cord blood stem cell transplant, similar to bone marrow in that it gives the body the tools to fight the disease, and in that success lies in the ability to find a match. “Neither of my parents were matches, or my sister,” Hines said. “The odds of finding a match on the registry are low, and being a person of color, the options are even smaller.” There were, it turns out, two matches from the registry, and following her transplant Hines said she returned to a mostly typical life. But she never forgot what a stranger’s act did for her. She’s tried to pay that anonymous gift forward ever since by founding her own nonprofit organization, Kori Cares Foundation, that assembles and delivers care packages for parents with children undergoing cancer treatment; and by volunteering with organizations like Gift of Life, which advocates for organ donation registries. Kori Hines, junior, speaks at the Festival of Student Achievement. Want to Help? Both DKMS and Be the Match offer swab kits that can be mailed in to join the registry. Visit www.dkms.org/en/register or join.bethematch.org for more info or to request a kit. “I made a promise to myself that when I got better, I was going to live as best I could,” she said. Robert Crossley appears in the documentary film Bluespace — a meditation on climate change, the terraforming of Mars, and the waterways of New York City — by award-winning director Ian Cheney. register/update and update your information today. Be sure to share your email address to receive the latest University and alumni news. 1982 Ed McKee and Linda (Raidt) McKee celebrated their 50th wedding anniversary this year. They were married May 4, 1968, in St. Louis. Ronald Luebben was recognized by Sertoma Inc., a KC based service organization, as its National Sertoman of the Year at the recent annual convention. Luebben has been a member of Sertoma since 1981, volunteering hundreds of hours to help the hard of hearing and other causes through his Sertoma Club memberships and leadership activities. David Huff has been appointed management coordinator of the docent program for the Lake Chapala Society of Ajijic in Mexico where he and his wife, Catherine, retired in 2007. Paul Lombardo, Ph.D., J.D., was featured on Hidden Brains podcast on American eugenics. Steven Michael Jones returned from a one-year tour in Afghanistan, where he supported Operations Resolute Support and Freedom’s Sentinel. Richard Hyman retired from Avaya Communications in New Jersey. Inspired by the spirit of community instilled in him by Rockhurst professor the Rev. Nick Rashford, S.J., Hyman is dedicating his new free time to the homeless through volunteer work on the New York City Relief Bus, Market Street Mission, Family Promise and hurricane relief programs. Jennifer Loper was promoted to president of C3, a local children- and family-focused marketing and design agency based in Overland Park, Kansas, that works with large restaurant and retail brands like Sonic, Arby’s, Raising Canes, Denny’s and others. James C. Knapp has been recognized as a 2018 Five Star Wealth Manager through Five Star Professionals, as seen in 435 magazine’s February issue. Knapp is the managing partner of the Knapp Advisory Group, a wealth management firm serving retirees and specialized professionals who seek a work-optional lifestyle. The editorial staff reserves the right to edit for content, accuracy and length, and cannot guarantee that items received will appear in the magazine. Publication of an item does not constitute endorsement by Rockhurst University. Andrew Halaz was named head volleyball coach at Missouri S&T. He will begin competing against RU next fall. Michael Padow has been named principal of Christo Rey Kansas City. Cory L. Atkins has been appointed associate circuit court judge for the Missouri 16th Judicial Court, which covers Jackson County. Raquel Garcia and Danielle K. Garcia, ’12, opened a small business called Strand by Strand in the urban Kansas City community. They are both certified in The Shepherd Method of lice removal, Trauma Informed Care, and bilingual in Spanish. Erica Dianne Ries (Ledwon) completed her certification for lactation counselor in January 2017 and has been working with mothers in the NICU at Mercy Medical Center in Des Moines, Iowa. Erica and her husband Vince also welcomed their second child, Keegan, on Oct. 2, 2017. He joins his 2-year-old sister Kalina. Lauren Budde married Joshua Smith on March 10, 2018, surrounded by family and friends in St. Louis. Brianna LeGrand earned the distinguished title of Fellow from the American Academy of Orthopedic Manual Physical Therapy in November, following a three-year residency program through the Manual Therapy Institute. She currently resides and practices in Tennessee. Mary Rae Staples married Rory Parry in Aberystwyth, Wales, on Sept. 2, 2017. They were excited so many Rockhurst Hawks were able to join them in celebrating abroad. WITH DARRYL GETTER, PH.D., ’87 Darryl Getter is a specialist in financial economics for the Congressional Research Service. He holds a Ph.D. in economics from Washington University in St. Louis. Q: What does the Congressional Research Service do? A: The Congressional Research Service (CRS) is a unit of the Library of Congress that provides research and analysis on all legislative and oversight issues of interest to Congress. In short, CRS is Congress’ own nonpartisan think tank. Q: What is your role within the organization? A: I focus on legislative proposals debated primarily in the Senate Banking, Housing and Urban Affairs and House Financial Services committees. My portfolio of research topics includes consumer credit markets, banking, fair lending, funding loans in the secondary markets and systemic risk. My research is used to help Congress hold more informed deliberations when performing its oversight responsibilities over the federal financial regulators as well as when debating the ramifications of policy proposals introduced in the committees of jurisdiction. Q: Can you tell us about some of the more interesting projects to which you’ve contributed? Andrew Ponder Williams accepted a position as coordinator of marketing and communications for Providence Speech and Hearing Centers in Orange County, California, which is a Catholic health nonprofit. He is also co-founder and principal consultant with Climb Consulting firm, working with churches and nonprofits. Lindsay Pierson married Adam Wright, associate attorney general for Missouri, on Oct. 28, 2017. She is currently employed by Visiting Nurses Association in the Kansas City area. Kyle and Katelyn (Menolascino) Hartman were married on July 22, 2017, in Omaha, Nebraska. Nicholas Traxler was named assistant director, alumni annual fund at Carleton College in Northfield, Minnesota. The Alumni Annual Fund supports student financial aid, learning, teaching, student life and the Carleton athletic initiative. Amy Meyers married Jacob Burch in April 2017. Both graduated from medical school at A.T. Still University in May 2018. Amy will be doing her residency in orthopedic surgery at Genesys Regional Medical Center in Grand Blanc, Michigan, while her husband will be doing his residency in internal medicine at Sparrow Hospital in Lansing, Michigan. through your favorite social networks. Alumni in health care fields connect with current students at the inaugural Alumni Medical Network event. The Alumni Medical Network will host its NEXT EVENT JANUARY 2019 in St. Louis. For more information, contact Brent Blazek at 816-501-4375. Rockhurst alumni were asked to join the Alumni Medical Network with an annual philanthropic contribution of $100. Funds generated from network memberships support travel to medical schools to establish partnerships, attendance at national health care advising meetings and regular Alumni Medical Network events that continue to foster studentalumni connections. “I made contact with physicians I can shadow or ask for assistance with the application process for medical school in the future,” said Audrey Arand, freshman, a biology major on the pre-medicine track. rockhurst.edu/hireahawk Looking for the perfect addition to your team? Contact Rockhurst University’s Career Services to connect with RU alumni and students looking to start their careers and secure internships. Family and Alumni Weekend Join us for a carnival-style tailgate, soccer, the Hopkins Skip and Run 5k, reunions and more. Business of Beer Learn about the business side of the brew from Martin Stack, Ph.D., from the Helzberg School of Management, while sipping a cold one. Breakfast With Chris Lowney Rockhurst University and the Jesuit Friends and Alumni Network present Chris Lowney, author and speaker, on ethical leadership. RU Leadership Series Joe Montana joins our annual event to talk leadership on and off the field. ackie Joyner-Kersee, one of the world’s most decorated female athletes and a St. Louis-area native, will be the inaugural guest of Rockhurst University’s St. Louis Leadership Series, scheduled to begin at 11:30 a.m. Thursday, Nov. 8, at the Old Warson Country Club in St. Louis. She will be joined by longtime St. Louis TV and radio sports personality Frank Cusumano for the presentation, “Leadership and Perseverance.” Kersee was the dominant force on the track and field circuit for 16 years, earning three gold, one silver and two bronze medals across four different Olympic games. She helped establish the Jackie Joyner-Kersee Youth Center Foundation in her hometown of East St. Louis, Illinois, and is a national advocate for healthful eating and lifestyles. Also during the luncheon, the University will recognize Scott and Kathleen Hummel, ’86, founders of Our Little Haven, with the Magis Award, given to a Rockhurst community member from St. Louis who exemplifies the Jesuit core value of magis, or “more.” The University will also recognize the winner of the Faber Young Alumni Award, Samantha Whited Fechter, ’09, for her leadership, service and a commitment to the Rockhurst University mission. RETRO ROCKHURST Times change, and so do student fitness routines. While today’s students might enjoy a yoga session, these courts behind Bourke Field were a popular spot in the 1950s for handball games. HAWK HANGOUT After you leave the Rockhurst University campus, you remain a Hawk for life. Connect with Hawks in your hometown by checking the calendar at rockhurst.edu/alumni. Looking to organize a Rockhurst gathering where you live? Contact Brent Blazek at brent.blazek@rockhurst.edu. Meet the Makers ^ Audrey Masoner, ’00, co-author of Alumni Night at the Ballgame ^ Alumni and friends gathered in the Convocation Center Feb. 8 for an Olympic-themed evening of RU basketball and pre-game festivities. Coach Tony Tocco’s family took advantage of the photo booth: (From left) Phyllis Tocco, Leonard Tocco, Hallie Herbert, Julie Tocco, Charley Herbert, Amy Herbert, AJ Herbert and Tony. Jesuit Leadership Series The St. Louis Alumni Council welcomed the Rev. Michael J. Sheeran, S.J., president of the Association of Jesuit Colleges and Universities, for a May 2 discussion on the future and value of Jesuit education, advocacy work he is doing on behalf of Jesuit universities in Washington, D.C., and trends in higher education. children’s book Mayor Sly and the Magic Bow Tie, spoke to a packed Arrupe Auditorium Feb. 28 during Meet the Makers — a TED Talk-style event sponsored by the RU Young Alumni Council. The event included presentations from innovative Kansas City leaders and their experiences in the local marketplace, along with an opportunity for guests to shop booths featuring local goods. Do you get together with fellow Hawks outside of Kansas City and St. Louis? Board of Trustees Welcomes New Members The Rockhurst University Board of Trustees recently welcomed five new members. In addition, Thomas F. Hastings, M.D., FACP, ’81, became the chairman, following Kermit J. Fendler, Pharm.D., ’68, who served as chair since 2016 and a board member since 2009. THE REV. KENT A. BEAUSOLEIL, S.J., PH.D.
Fr. Beausoleil is special assistant for the vice provost of faculty affairs and the vice president for student affairs at Marquette University. He holds a Ph.D. in student affairs from Miami University in Oxford, Ohio. Ginter is CEO of CommunityAmerica Credit Union. She earned the designation of Certified Chief Executive Officer from the Credit Union Executives Society and is a graduate of the Advanced Leadership Institute at Harvard Business School. Reavey is CEO and president of Vixxo Inc., which offers fullservice asset management and maintenance solutions to multisite facilities across North America. Previously, he served as CEO and president of FM Facility Maintenance LLC, where he led the firm’s growth-oriented business strategy. Rios is a residential college director at Washington University in St. Louis. After graduating from Rockhurst, he earned a Master of Arts in college student personnel from Bowling Green State University. Stewart entered the Society of Jesus in 2009 and professed his vows in 2011. He holds a master of music in choral conducting from the University of Denver and is currently studying theology at Boston College in his final stage of preparation for ordination. longtime faculty member in the Helzberg School of Management, died March 10. A Kansas City native, Miller earned his undergraduate degree from St. Benedict’s College and received a Ph.D. in economics from the University of Notre Dame. For 35 years, Miller was a well-known and loved part of the economics department at Rockhurst, known for his passion for social justice and commitment to the classroom. died Jan. 24 in Kansas City, Missouri. Born in Springfield, Massachusetts, Smist earned degrees from American International College and the University of Oklahoma. While a faculty member in the University’s political science department, Smist was a frequent guest on national television, weighing in on matters of legislative politics and national intelligence, and the author of several books. fter about a 16-year absence from Kansas City, Tristen Woods, ’02, came swinging back in a big way. The former Rockhurst University golfer returned to his hometown to practice law under his alter ego Tarzan the Lawman for the Jungle Law Group. While the Jungle Law Group may not be your traditional legal firm, it works for Woods because it combines his legal expertise with his love and passion for animal rights and animal advocacy. “I’ve always loved animals,” Woods said, “I’ve always been attached to them. They have such a good energy. If you are having a bad day, you can look at or play with an animal and feel better.” After leaving Rockhurst, Woods traveled to Los Angeles to try to break into show business. After a few years, he traveled to San Diego to teach golf before a friend encouraged him to look into law school. He graduated from the St. Thomas University School of Law in 2015.
n her time both in education and in fundraising, Nicole Jacobs Silvey, ’93, has made it her job to find new ways to connect people to resources. So in 2016, Silvey relished the opportunity to engage a new audience by founding Sisters’ Circle KC, aimed at encouraging philanthropy among women in the African-American community. Despite having the passion and the career experience, Silvey said Sisters’ Circle started with little more than a metaphorical raise of her hand in a Facebook post about giving circles — smaller groups of donors who pool their money and decide what to fund. Pat Macdonald, Greater Kansas City Community Foundation senior philanthropic adviser, guided her in setting up one. “There are a lot of everyday folks who want to give back, too, and they are never asked,” Silvey said. “We just don’t cast a wide enough net.” In a national landscape that left many people in communities of color around her feeling hopeless, Silvey said she hoped Sisters’ Circle could offer a way to empower individual donors to make a tangible difference by connecting them in a meaningful way to the initiatives they fund. In the first round, the circle funded projects that included TV newscaster Cynthia Newsome’s Awesome Ambitions, a college preparatory program for eighth- through 12th-grade girls. Seeing that impact has energized not just the members of Sisters’ Circle, but Silvey herself. What’s L.O.V.E. Got to Do with It? BY CATHERINE THOMPSON, PT, PH.D., M.S. concepts of interprofessional health care with my students in hopes that they too will appreciate the need to combine their skills, knowledge and experience with other experts for the best patient care. What’s L.O.V.E. got to do with it? I created the acronym L.O.V.E. to encourage students and others to engage in reflective practice when working collaboratively with others. L.O.V.E. stands for “Listen, Observe, Verify, and Empower.” While simplistic, the acronym L.O.V.E. is based upon Jesuit pedagogy that encourages well-informed action through a process involving experience, reflection, action, and evaluation. At this time of growing information that may or may not be accurate, L.O.V.E. reminds us to actively listen, to closely observe factors impacting a situation, to verify information through reliable sources, and, finally, to empower those who are able to take needed actions. We live in a complex world with diverse cultures, experiences, and perspectives that requires well-informed discourse. It takes teamwork and it has everything to do with love. Catherine Thomspon, PT, Ph.D., M.S., is professor of physical therapy. She is the editor of a recently published book titled Pediatric Therapy: An Interprofessional Framework for Practice. She has continually practiced as a clinician in addition to her teaching, community service and scholarship. SATURDAY, APRIL 14, 2018 Rockhurst students participate in gardening, cooking meals and cleaning the neighborhood around Cherith Brook Catholic Worker House for Service Saturdays. Mark Your Calendar for Family and Alumni Weekend. Spend the weekend with family and friends celebrating your Rockhurst pride. You can expect a weekend full of Hawks soccer, fireworks, Mass, Hopkins Skip and Run 5K, class reunions and much more. In between Rockhurst events, visit Kansas City’s famous Plaza Art Fair, located just minutes from the RU campus on the Country Club Plaza Sept. 21 – 23 only! Visit rockhurst.edu/weekend to view a full list of activities and registration information. The magazine for Rockhurst University.